Requires Bambino LUK Controller sold separately. 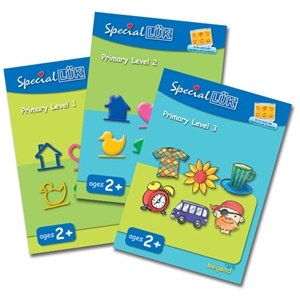 SpecialLUK Primary Level series workbooks are designed to help children build fundamental learning skills starting from the very basic level. We have an animated demonstration of how the Workbook/Controller system works. After completing the SpecialLUK exercises children will be ready to move on to BambinoLUK. Awesome product and seller! Shipping was very fast and packaged very well! My children love the bambinoLUK! Highly recommend the product and thinktonight.com!